Steve Hargadon: Live Tuesday Dec. 7th with Kieran Egan on "Re-Imagining Education"
Live Tuesday Dec. 7th with Kieran Egan on "Re-Imagining Education"
Join me Tuesday, December 7th, for a live and interactive FutureofEducation.com webinar with Kieran Egan, director of the Imaginative Education Research Group. Dr. Egan's work focuses on a new educational theory and its implications for a changed curriculum, teaching practices, and the institution of the school. He is the author of over 20 books, including most recently The Future of Education: Reimagining Our Schools from the Ground Up, and Learning in Depth (coming 2011). Kieran Egan was born in Clonmel, Ireland in 1942. He was brought up and educated in England. He read History (Hons.) at the University of London, graduating with a B.A. in 1966. He worked for a year as a Research fellow at the Institute for Comparative Studies in Kingston-upon-Thames and then moved to the USA to begin a Ph.D. in Philosophy of Education at Stanford University. He worked concurrently as a consultant to the I.B.M. Corp. on adaptation of a programming method, called Structural Communication, to new computing systems. He completed his Ph.D. at Cornell University in 1972. His first job was at Simon Fraser University in British Columbia, where he has remained ever since. He is the author of over 20 books, and co-author, editor, or co-editor of a few more. In 1991 he received the Grawemeyer Award in Education. 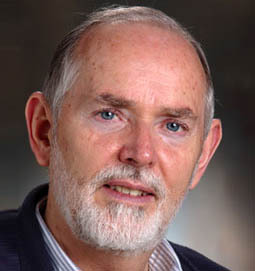 In 1993 he was elected to the Royal Society of Canada, in 2000 he was elected as Foreign Associate member to U.S. National Academy of Education, he received a Canada Research Chair in 2001, won the Whitworth Award in 2007. His main area of interest is education. His work focuses on a new educational theory, which he has developed during the past two decades, and its implications for a changed curriculum, teaching practices, and the institution of the school. His work deals both with innovative educational theory and detailed practical methods whereby implications of his theory can be applied at the classroom level. Various of his books have been translated into about 10 European and Asian languages. His recent books include Teaching as Story Telling and Imagination in Teaching and Learning (Chicago: University of Chicago Press), The Educated Mind: How cognitive tools shape our understanding (Chicago: University of Chicago Press, 1997), Getting it Wrong from the Beginning: Our progressivist inheritance from Herbert Spencer, John Dewey, and Jean Piaget (New Haven: Yale University Press, 2002), An imaginative approach to teaching (San Francisco: Jossey-Bass,2005), and Teaching literacy: Engaging the imagination of new readers and writers (Thousand Oaks, CA: Corwin Press, 2006), and most recently The Future of Education: Reimagining our schools from the ground up (New Haven: Yale University Press).